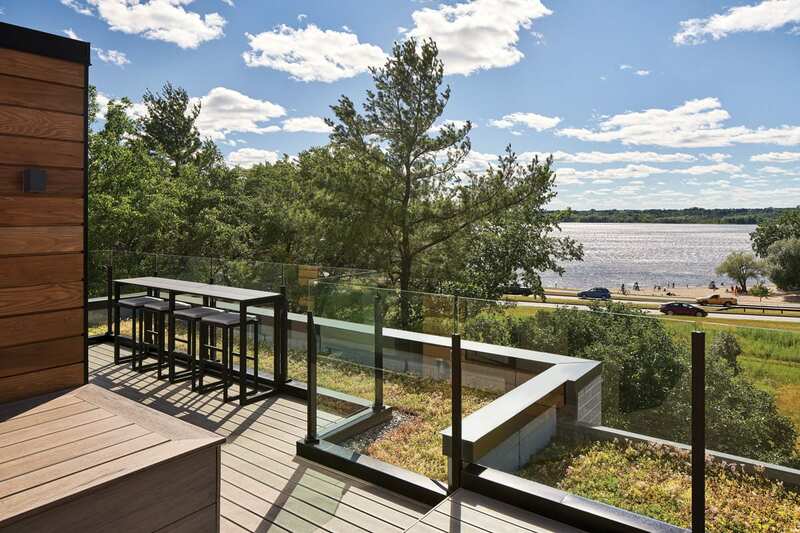 In building their environmentally sustainable house, one couple creates a map for others — and a spectacular modern infill that takes in the amazing views of Westboro Beach. 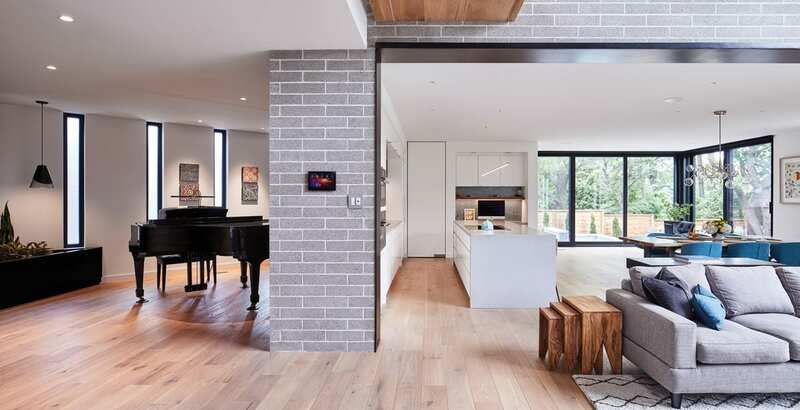 Nadine and her husband had renovated their Britannia Village house, but they had never built from scratch. In 2015, after returning from four years in Sydney, Australia, the couple realized they wanted to move closer to downtown. Nadine’s husband now works downtown, and their teenaged children attend school near the ByWard Market. For over a decade, they had lived in Britannia Village and had enjoyed the area’s cottage feel and proximity to the Ottawa River. They thought Westboro might have a similar ambience. 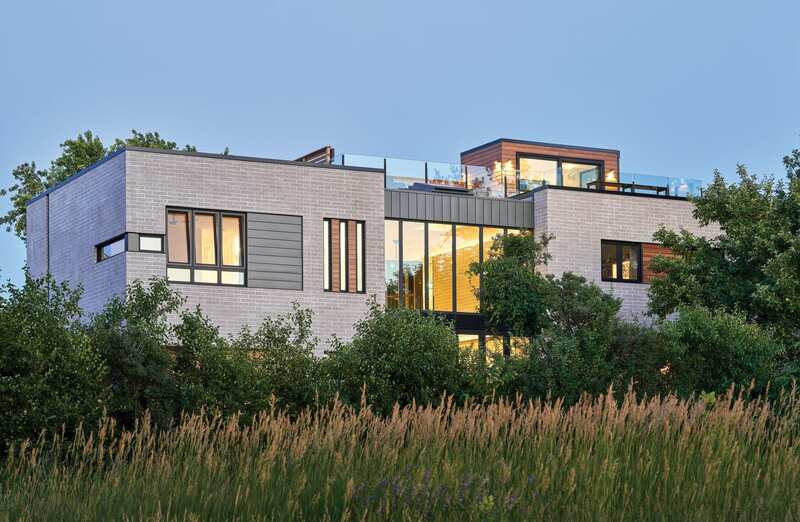 When a 10-year-old house overlooking Westboro Beach went on the market, they loved the views, but the house didn’t appeal. “It didn’t take advantage of the location,” says Nadine. The best view was from the laundry room. In addition, some room configurations were odd, and there was no space for their grand piano and dining table. Their first thought was to renovate. 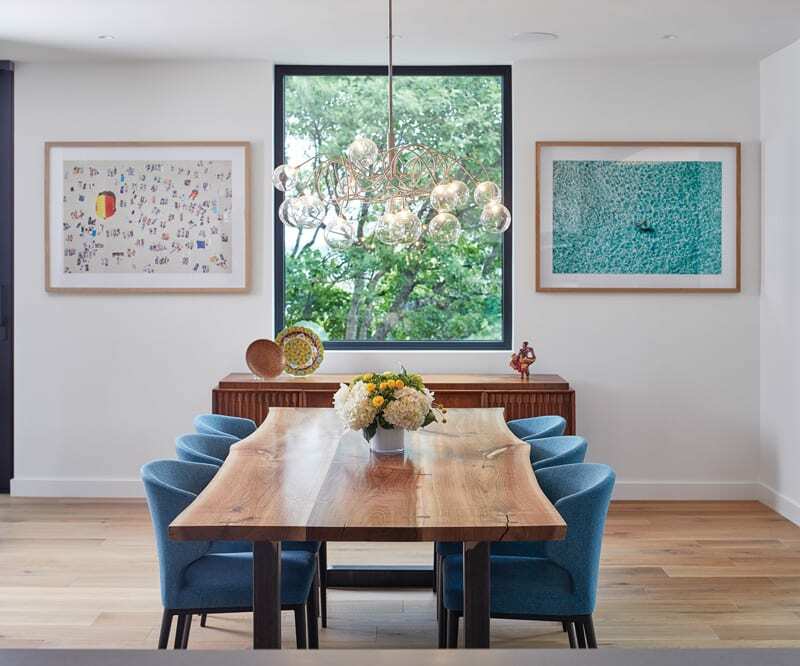 With help from Andrew Reeves of LineBox Studio, they soon realized that their green dream and the existing house weren’t a match. 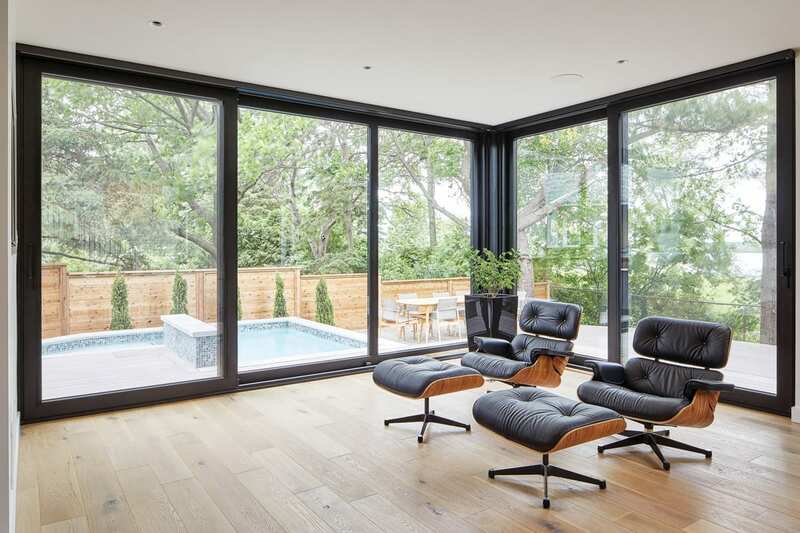 “We would have needed to do substantial renovations to the house. It was just too much,” says Nadine. Instead, they did a tear-down that was compatible with LEED (Leadership in Energy and Environment Design) certification. Habitat for Humanity took appliances, fixtures, windows, and more. The rest was then dismantled, with bricks and other materials separated for reuse or recycling. The green demo took longer and cost more but was worth it, says Nadine. Designing the house was not so straight-forward. The lot is an irregularly shaped triangle with 156 feet street frontage and 176 feet abutting on National Capital Commission property. NCC covenants prohibit permanent structure within 30 feet of its property line. 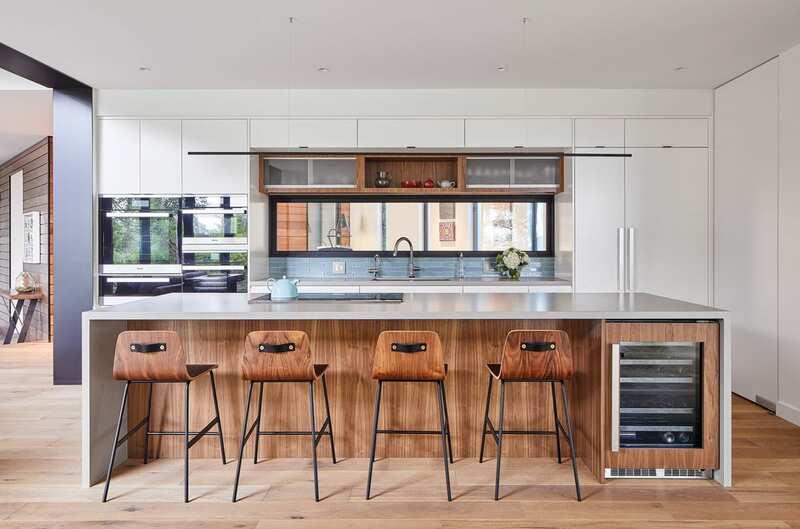 The epicentre of the design was the family’s vision, he adds. “Our goal is to listen and understand … how they live and move.” For Nadine and her family, this included making spaces for playing music and socializing. Reeves applauds their green route. “They are on the forefront. The financial payback will never happen, but they are doing it to be champions. 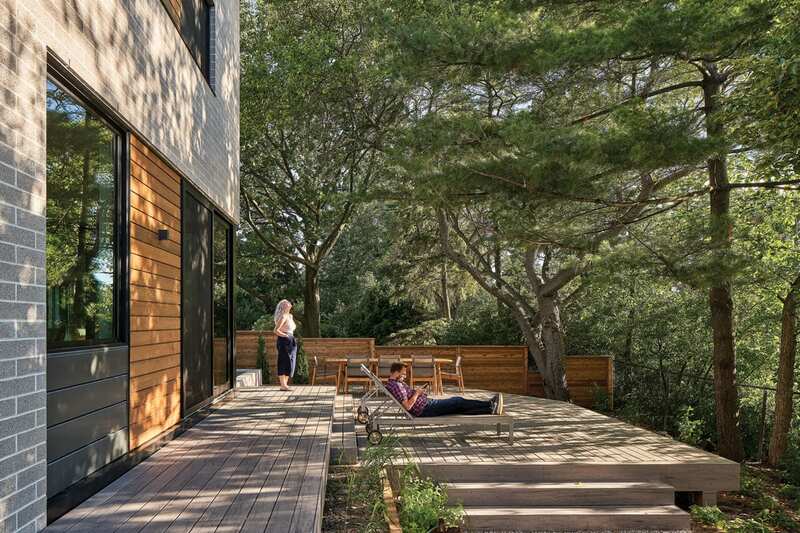 It will eventually be attainable for others.” The couple considered building a passive house, but that’s mostly about energy efficiency, whereas LEED involves a range of criteria. They will apply for LEED Platinum. After three preliminary plans, a final design was approved with no variance. Nadine and her family moved into their new house in February 2018. 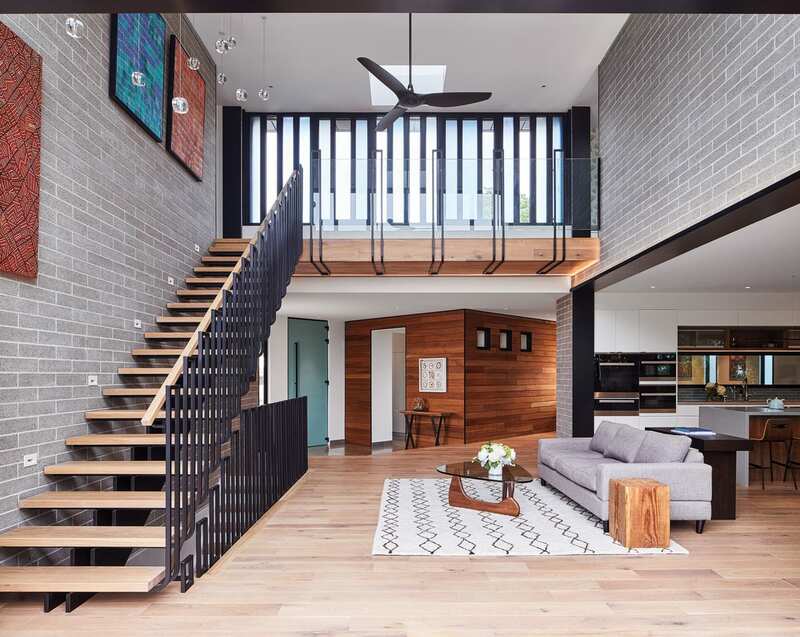 Green features include two central skylights; unlike typical fixed-pane skylights, these open to release hot air (which rises) and, in the process, draw cool air from the basement. With an air-source heat pump added to the mix, the result is a unique passive cooling system. “We’re not fighting Mother Nature — we’re playing with it,” says Reeves. 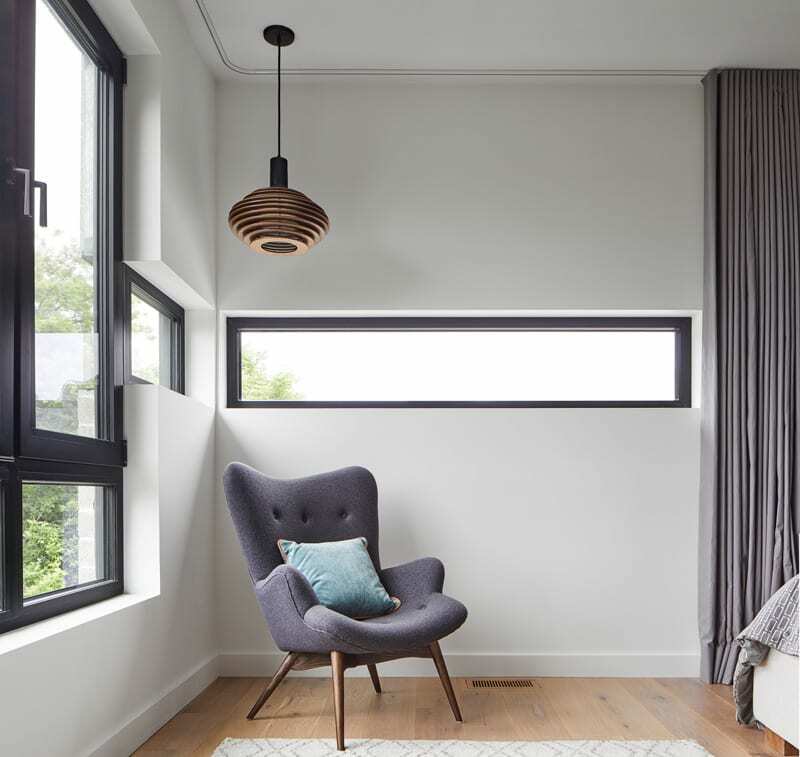 It’s cozy in cooler months, with radiant in-floor heating, triple-glazed windows, and insulation galore. 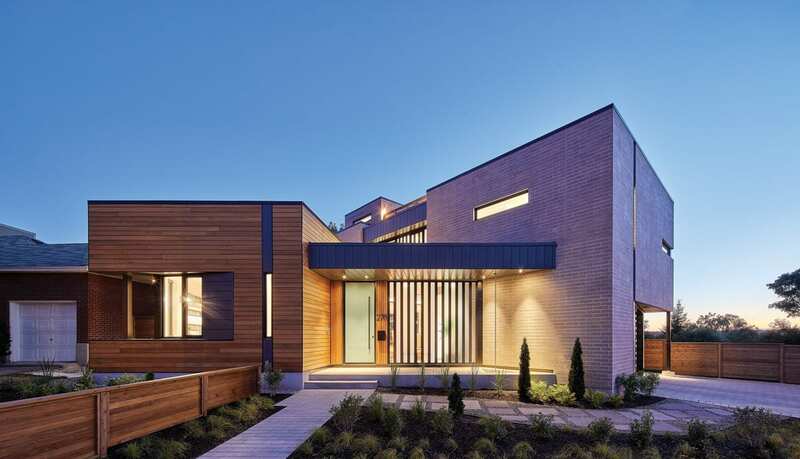 The house is similar to pas- sive houses in that it’s very close to passive standards for being airtight. Solar panels were considered but didn’t make financial sense. The infrastructure was installed in case that changes, and they invested in Ottawa Renewable Energy Co-operative, which does large commercial solar installations. They’re also getting Bullfrog Power, which offers power from renewable resources. Getting the teenagers to turn off lights may be a more difficult part of the equation, says Nadine, smiling. 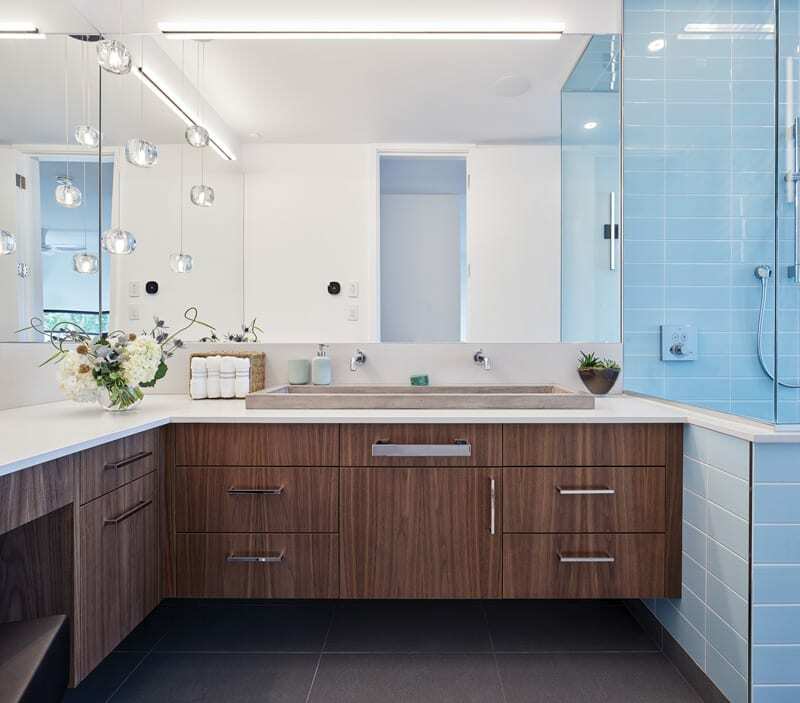 The hot water is on-demand, and there’s a grey-water recycling system that moves water from the master bathroom sinks, shower, and tub to supply the toilets. 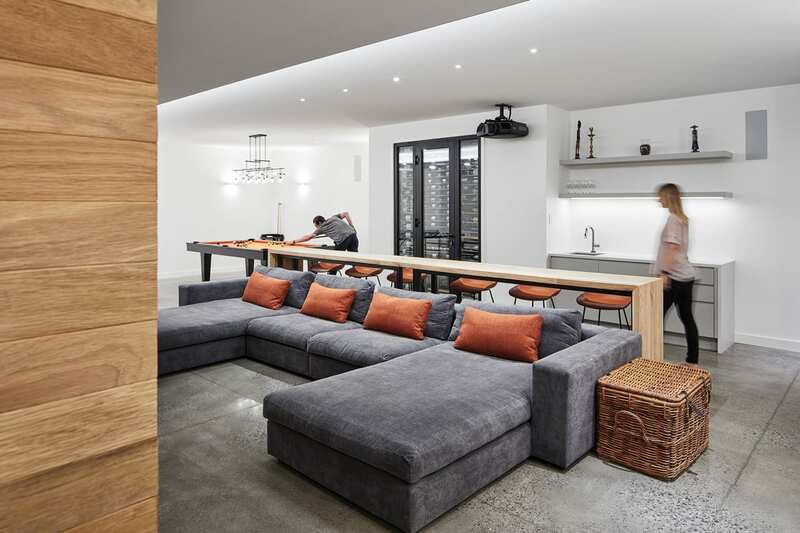 All the flooring was reclaimed from 300-year-old oak trees that had been languishing in the Ottawa River for 200 years. “I love, love it,” enthuses Nadine. The wood in the bar table downstairs is reclaimed from city trees that were cut during the emerald ash borer infestation. Nadine also sourced environmentally friendly decor via fair-trade carpets and locally manufactured furniture. Landscaping includes two green roofs. The second floor has 12 inches of soil to sustain a variety of plants, even blueberry bushes. The third-storey garden has a two-inch substrate, packed with sedums. On the ground level, the plants are local low-water, and there’s space for a few veggies.